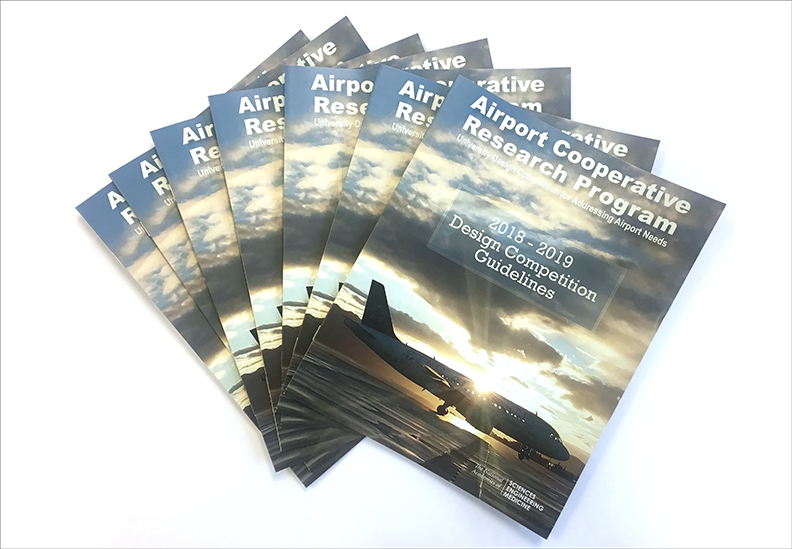 The Airport Cooperative Research Program (ACRP) is sponsoring the University Design Competition for Addressing Airport Needs for U.S.-based undergraduate and/or graduate students to design innovative solutions that address airport issues and constraints to enhance the management, safety, capacity and efficiency of the nation’s airports. Winning design proposals receive cash awards, and first place winners present their work at the National Academies of Sciences, Engineering, and Medicine, and at a professional conference relating to their work. The competition also provides students with exposure to aviation and airport-related careers. Follow the design submission guidelines prior to submitting an entry. Design submissions will be accepted from November 2, 2018 through April 29, 2019. Guidelines for the 2018 – 2019 academic year competition are available at http://vsgc.odu.edu/ACRPDesignCompetition/files/2018-2019-ACRPGuidelines-Interactive.pdf. Additional information about the program can be found at http://vsgc.odu.edu/ACRPDesignCompetition/.